As a parent, you have plenty of questions about your child’s health. One we hear quite often is when dental care should begin for a child. The short answer is when their first tooth comes in, usually at six months to a year of age: that’s when you should begin brushing at home. But there’s also the matter of when to begin your child’s regular dental visits: we recommend the first visit around the child’s first birthday. Here are 4 reasons why this is the right time to start. Prevention. First and foremost, starting visits at age one gives your child the best start for preventing tooth decay through cleanings, topical fluoride or, in some cases, sealants. Preventive care for primary teeth may not seem that important since they’ll eventually give way to the permanent teeth. But primary teeth also serve as guides for the next teeth’s ultimate position in the mouth — if a primary tooth is lost prematurely, it could affect your child’s bite in later years. Development. 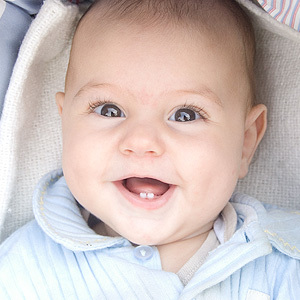 Early dental visits give us a chance to keep an eye on bite and jaw development. If we notice a developing malocclusion (bad bite) or conditions favorable for it, we can refer you to an orthodontist for consultation or interventional therapy to reduce the possibility or extent of future treatment. Support. Your child’s regular dental visits can also help you as a parent. We can advise you on all aspects of dental care, including brushing and flossing techniques, nutrition dos and don’ts, and how to handle situations like late thumb sucking. Familiarization. Dental visits starting at age one will help your child become familiar and comfortable with visiting the dentist that might be more difficult to achieve if they’re older. Dental visit anxiety is a major reason why many people don’t maintain regular visits later in life. Children who come to realize that dental visits are a normal, even pleasant experience are more likely to continue the practice into adulthood. Caring for your child’s teeth is just as important as other aspects of their health. Getting an early start can head off brewing problems now and set the course for healthy teeth and gums tomorrow.